The Gold Coast Hinterland Great Walk winds for 54 kilometres along the rim of the ancient Tweed Volcano (don’t worry it’s been extinct for over 23 million ­years), from O’Reillys Rainforest Retreat past Binna Burra campground and onto Nerang Creek in Lamington and Springbrook National Parks. Expect to see possums, sugar gliders, tree frogs and hear cockatoos and lyrebirds. In summer it’s a great retreat from the heat, in winter you’ll need your thermals early on! 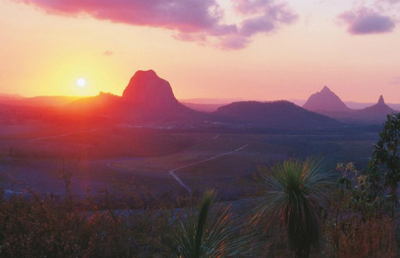 The Blackall Range lies just north of Brisbane – an undulating mountain range of sub-tropical rainforest, tall eucalypt forest, bubbling creeks and waterfalls. Take four days and slowly meander along the 58-kilometre track, staying at bush camps along the way, or if you’re just a weekend warrior there are half and full-day options. Staying in Brisbane? Drive up early Saturday morning, head to the Eumundi markets in the morning, grab some lunch and do a half-day walk to one of the waterfalls (access from Montville or Mapleton). You’ll be back in the city for dinner! 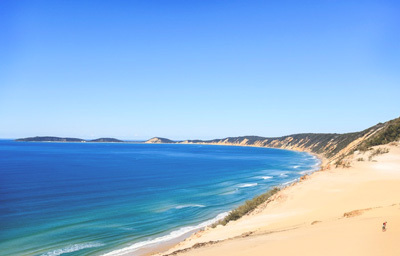 Further north on the Sunshine Coast, the trails take to the coastline with a 102-kilometre trek along the sandy beaches north of Noosa. 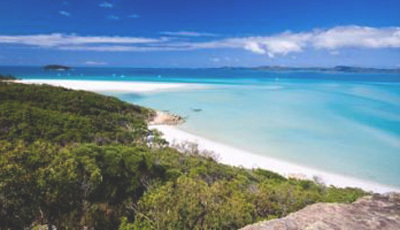 Wander through the sand dunes around the upper Noosa River, watch the migrating whales as they pass Double Island Point lighthouse, and arrive at Rainbow Beach where thousands of travellers make the jump across to Fraser Island every year. Most people only see the largest sand island in the world through the window of their 4WD as they drive up the vast eastern beach, but if you take the time to explore Fraser Island on foot you’ll see another side to its beauty – the wonderful rainforests that grow on pure sand, the mangrove and peat swamps across its centre and the purest dingo population in Australia. With over 100 freshwater lakes and numerous campsites, there’s always somewhere to stop, setup camp and take in the view. The entire 90-kilometre Great Walk takes between six and eight days to complete, but there’s much shorter half or full-day wanders through the World Heritage listed wilderness on offer, too. Looking through towering trees across dramatic cliffs to the sugarcane plantations and ocean on the horizon, it’s easy to see why the early pioneers fell in love with this area. Once you’ve walked the steep tracks through palms groves and rainforest you begin to appreciate what they went through hauling ox and carts from the coast to the goldfields. Take a detour and head to Eungella National Park, home of the shy and retiring platypus. Some run it in a few hours (there’s an annual Run the Whitsunday Great Walk), other plod the 25 kilometres over a few days, stopping at campgrounds along the way. Whichever way you choose to traverse Conway National Park, be prepared for some serious elevation change. You’ll also see dangling vines, scampering rock wallabies and the glorious fluorescent blue Ulysses butterfly. 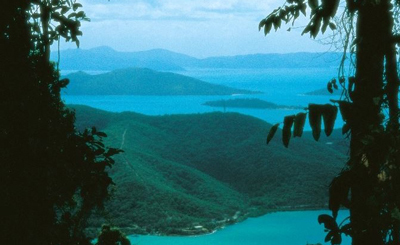 Home to the Ngaro people for over 9,000 years, the continental islands of the Whitsundays are spread across the Coral Sea. 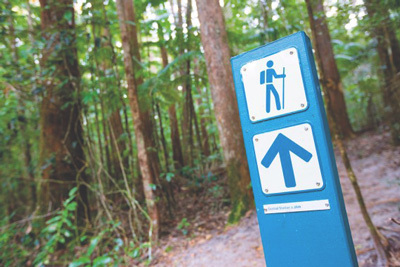 The Ngaio Sea Trail jumps from Whitsunday Island to South Molle, finishing on Hook Island, passing open forests, along winding pathways and up a rugged peak or two with views that are simply magical. If you can, rent a bareboat, sail between anchorages and take them on one at a time, refuelling on fine wine and food every night… just to build my strength for the next day, of course. This is an epic 32-kilometre hike. Five days traversing some of the most dramatic landscapes in the world. Think Lord of the Rings scenery, craggy summits piercing white bubbly clouds, remote bush camps… and then you get to beautiful Zoe Bay. Gaze out across rock pools, down a steep waterfall and towards a long sweeping sandy bay in the distance. Few visit, but those who do remember it forever (and we’re not being dramatic). 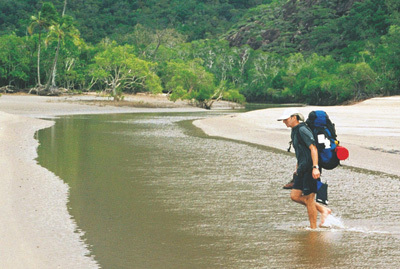 Access to Hinchinbrook Island is by boat from Lucinda or Port Hinchinbrook. You’ll need to be fully self-sufficient and book well in advance. Going inland from the coast doesn’t always mean you’re straight into the Outback proper. Carnarvon National Park is a vast elevated section of sandstone country bisected by deep gorges, as a result of thousands of years of water erosion. 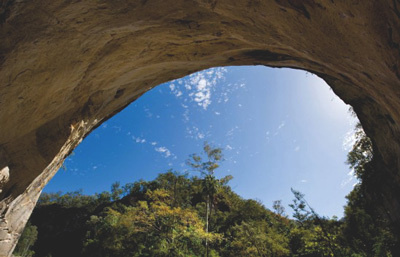 Our very own Grand Canyon (although a little greener), is home to an impressive number of Aboriginal sites too, including the Art Gallery, Big Bend, Wards Canyon, Cathedral Cave, the Amphitheatre and the Moss Garden. At only 10-kilometres long, you can easily walk its length in a day . 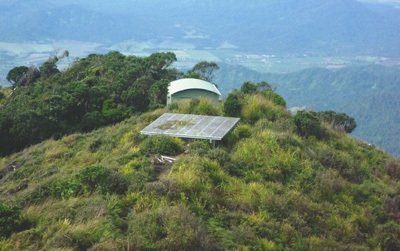 The tallest mountain in Queensland, Mount Bartle Frere, offers drivers on the Bruce Highway an occasional glimpse of her beauty, and at an imposing 1622 metres above sea level, hikers should be prepared to climb and climb, rest for a while and then climb some more. 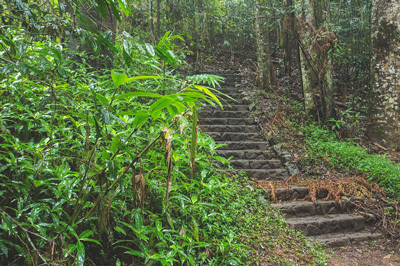 The path cuts its way through the rainforest, vines hang low all around, frogs hop out of your way, and the ever-present humidity presses down on you like a hot, wet blanket. Putting all of that aside, as the tree canopy thins out, you arrive at what has to be one of the countries most remote and wonderful campsites – a steel platform with 360° views to the Atherton Tablelands one way, and the Great Barrier Reef the other. Expect to take a full day from the basecamp car park to the summit and back, and definitely take lots of water. Written by Ben Southall and originally published on Hello Sunshine – the official travel blog of Queensland Australia. Looking to explore a little closer to home? Check out our Sydney adventures.